Cryptocurrency are a form of virtual currency (digital) that first came into existence in 2009 in the name of Bitcoin. It is different from traditional currency that it does not have a underlying value i.e they are not backed by government treasury bills, bonds, gold or silver. It was introduced as means of peer to peer transaction method. Currently there are hundrerd of cryptocurrency in existence and the their market is gaining strength as number of transactions are increasing at a much quicker rate. Most of world’s interesting inventions are merely an accident. Bitcoin is no different in that category. It was invented when the developers were trying to find a method for peer to peer transaction unlike the conventional method where banks or financial institutions are being a part of transaction. The developers in the name of Satoshi Nakamato (anonymous) finally came up with bitcoin cryptocurrency, the first of its kind. Since then plenty of new currency came like litecoin, burst coin, grid coin, DASH etc. but still bitcoin hold more than 90% of market share. Their growth is tremendous in such a way that the one bitcoin currently trades close to 1000 dollars. Ofcourse it is highly volatile and risk to trade in it as many countries have not still legalized the use of it. 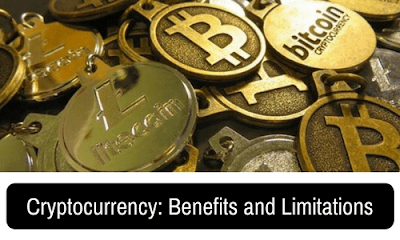 The bitcoins uses block chain technology where transaction are made in the form of blocks. To transact using bitcoins one needs to have bitcoin wallet with a address and a primary key which is used to authenticate the transaction just like a password. Everyone in the network knows about the transaction and trace of it will be available even from the point of origination of bitcoin. It’s a peer to peer transaction method where involvement of financial institutions are removed. Remittance charges are very less compared to traditional methods. No risk of inflation since the number of coins that can be produced is limited unlike usual fiat currency which can be printed as and when decided by government and central bank, ofcourse with little restrictions. It is designed in a way to reduce the production over time thus eliminating inflation. The technology (block chain) behind has created interest among financial institutions as the transaction are made simpler and safer. Legality of its use varies from country to country thus making it riskier as some countries have allowed it but few like China has completely banned it. Since it is decentralized system (one of its advantage) criminals can use it for illegal purpose like drug or weapon dealing. It is difficult to account for transactions made in this which will cause problems to the income tax system. There is time lag of close to 10 mins for each transaction to get approved which affects the traders. Many countries have legalized trading in bitcoins and Japan is the recent one to legalize it. Japan central bank recognised the use of bitcoin as a legal tender and made proposal law which came into effect this year. This is seen as a positive among the people using bitcoins. The emergence of digital currency is a welcoming one as it will help reducing the black money generation which is spread all over the world. Further it can resolve many drawbacks of current system like long queue in the banks. Despite all the positives still its use is limited. Further improvement can ba made in its technonogy which can improve pace of transactions and reduce the use of illegal persons by some method.